Surrey offers participants a wide number of different first aid and CPR providers. The largest, most popular and lowest priced training provider is Vancouver First Aid Ltd. They have been offering training courses in Surrey since 2008 and have been committed to offering the highest level of training with great instructors in comfortable training locations. Training centres are located in Newton and Whalley business centres. Build your resume and learn valuable skills by enrolling in courses such as standard first aid, childcare first aid, occupational first aid, CPR and AED training, food safe level 1, on-line WHMIS, babysitting training, basic life support and many more. To view all the available courses or to register for any class including Canadian CPR and / or CPR training use the contact information provided below. To register for a training course with this provider in Surrey, B.C., you can use the contact information below. E-mails, telephone calls, and walk-ins during business hours in any of the training centres in Surrey are encouraged for enrollment. Customer service representatives are available from 7 am to 5 pm to help with registrations or with any questions. Click Here to Register On-Line for Canadian CPR Courses in Surrey, B.C. 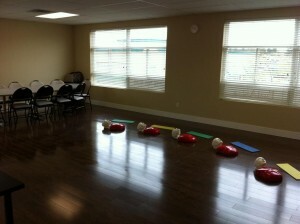 The main training centre in Surrey is located at 7238 137 Avenue. 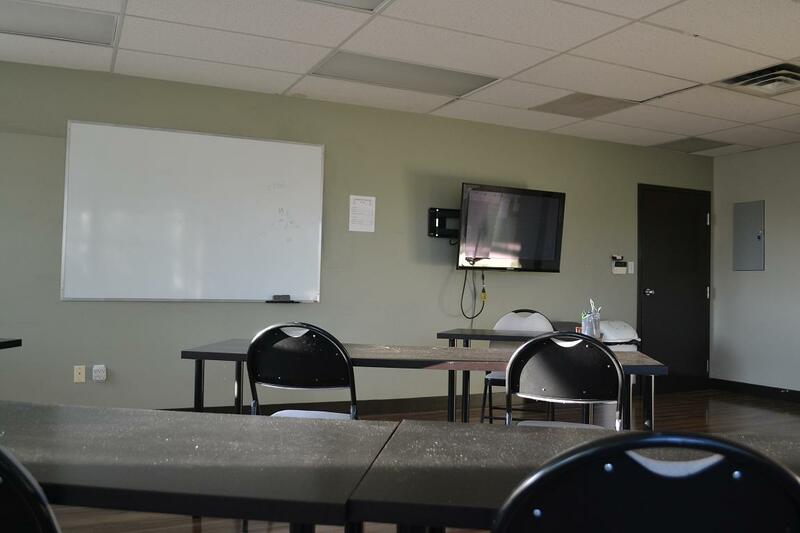 The location provides a new training facility with plenty of free parking and great access to public transit. Lots of amenities are available nearby for participants to enjoy during lunch and breaks. For more information about this location view the map below. Lecture and training room in Surrey, B.C. Many more courses are available. To register use the contact information posted above. Workplace approved training certificates are awarded to trainees who are able to complete their enrolled course. The certificate is valid for three years and can be re-certified through refresher courses as long as prerequisites are met. All prices are inclusive of tax and registration fees. No hidden costs. Who Needs to Take First Aid / CPR Training? This is a short list of some of the types of employment types that need to have first aid / CPR certification. Infants are children 12 months and younger. They are the most common victims of choking, especially toddlers, because they tend to put small objects in their mouths. Here are steps to perform a choking rescue on an infant victim. Sit down and place the infant face down along your forearm. Rest your forearm on your thigh. Hit the infant’s back lightly, five times, in the middle of the back using the heel of your palm. Being cardiopulmonary resuscitation (CPR) if the infant doesn’t resume breathing. On-line Registration for Canadian CPR Courses in Surrey, B.C.